Agama Yoga Centre offers a a teacher training course affiliated with the KHYF. Conducted in Melbourne by the Director of Agama Yoga Centre; Barbara Brian. Upon successful completion of this course participants will be eligible to become a KHYF Certified Yoga Teacher. They will be certified to teach group classes and general (non-therapeutic) individual classes. This course offers thorough training in Yoga for personal practice and for general health, as well as an introduction to healing and spirituality. Creating harmony for mind body & soul! Moskha Yoga offers a wide range of Yoga & Meditation Classes as well as Health & Wellbeing Programs. Corporate Health- Improving the wellbeing of your staff! For the last 30 years Inner Cor has been a health and wellbeing organisation specialising in corporate health retreats, yoga classes and Yoga Teacher training. The new approach to corporate health and wellbeing to increase the physical and physiological health of employees to prevent ‘body breakdowns’ within the workplace. If you are passionate about yoga and would like to share your love of yoga with others, you may wish to undertake hatha yoga teacher training. The Yoga Space Level 1 Hatha Yoga Teacher training course is a comprehensive 12 – 24 month training course taught by experienced yoga teachers and university lecturers. Through more than 650 hours of practice, teaching assistance and observation this training will ground your personal yoga practice in the philosophical underpinnings of yoga. This will allow you to share the gift of yoga with joy, confidence and a greater understanding of the deeper dimensions of yoga practice. Throughout the course you will learn how to teach, pre & post natal yoga, kids yoga, beginners yoga, general classes and even chair yoga for seniors. With ample hours of teaching practicums during your course you will graduate confident and inspired, ready to teach your own classes. The Victorian Institute of Yoga Education and Teacher Training is one of Melbourne’s most well established Yoga Schools with over 15 years of experience in Yoga Teaching..
8 Limbs' Teacher Training is the most comprehensive yoga teacher training available and boasts the highest standards of excellence in all its components. Our trainers are all professionals in their fields and 8 Limbs has become an international authority on yoga. 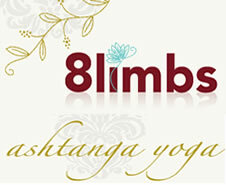 8 Limbs' Teacher Training is presented as three levels and comprises of more than 750 hours (excluding self-practice). Theoretical and practical exams are held at the completion of each module, as well as assignments where applicable. The teacher training is offered at three levels. Level 1 thoroughly prepares you to teach yoga to beginners. Levels 2 & 3 enable trainees to more deeply explore the higher limbs of yoga as well as more advanced postures, Yoga Rehabilitation and Prenatal Yoga. 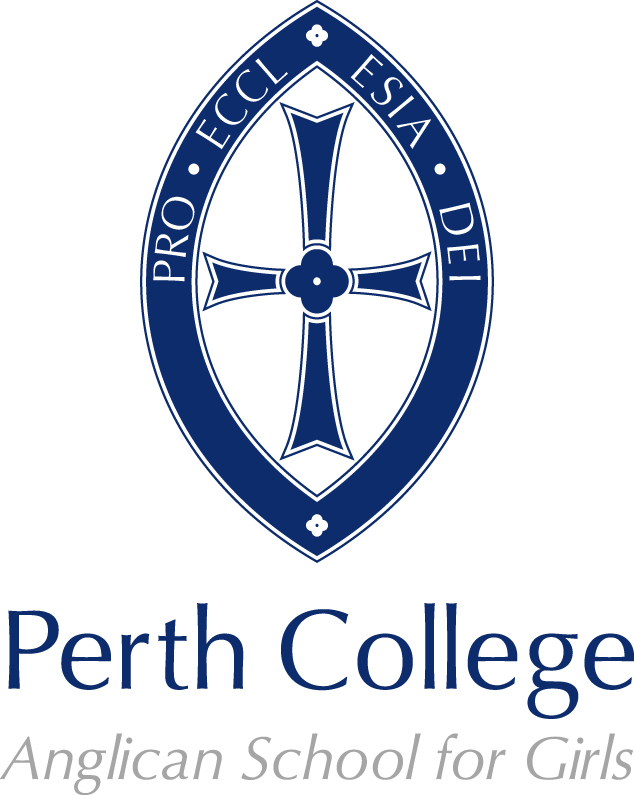 Established since 1985 as the West Australian School of Yoga in Queen Street Perth, the School opened its second studio in 2001 at Shenton Park. Recently we have undergone a name change to YogaWest, however we still maintain the same great tradition of quality yoga instruction. The School offers a range of classes for beginners and experienced students, including restorative and prenatal classes, teacher training and private tuition is also available by appointment. Regular workshops are organised with local and visiting teachers, and annual workshops are held in Bali. The School has excellent facilities and traditional equipment. YogaWest offers classes in the tradition of B.K.S. Iyengar. Iyengar Yoga emphasizes alignment while developing stamina, strength, flexibility and balance. of yoga and are certified under the Iyengar system or are teachers-in-training. Whether you have never practiced yoga before or have simply been away for a while we hope you find all of the information you need here to begin sweating like never before and taking your body on a journey that will lead you to feeling fantastic. Bikram Yoga is for everyone, regardless of age or fitness level. It is a complete, holistic workout that’ll make you sweat, laugh, groan and cry; doing more for your mind and body than you ever imagined possible! You’ll be challenged in ways you never thought possible THEN at the end of class you’ll feel amazing, you’ll feel energized, you’ll feel happy and most importantly, you’ll feel alive!! If you make the commitment to yourself to invite this Yoga into your life, your body will LOVE you for it and so will your friends and loved ones! The Yoga Company is a professional, modern, spacious and fully equipped yoga school, that has been established for 20 years in the heart of Subiaco. The Yoga Company timetable offers you a variety of yoga classes and times to choose from – beginners, general, advanced, early morning, private, corporate classes, sport classes and regular structured beginners courses. 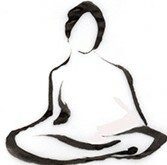 The Yoga Company is recognised as the number 1 yoga school in Perth. Trainer of the West Coast Eagles, Western Warriors, Perth Wildcats and Olympic gold medal winners the Hockeyroos. All teachers are qualified and accredited. Stretch Now is a division of the Stretch Now Group established in 2002 as an innovative ergonomics, health and wellbeing company. Through our dynamism, growth and experience we have become a leading distributor of the highest quality wellbeing and lifestyle products from around the world. We are passionate about ergonomics, health and wellbeing, and believe that the knowledge and expertise of our friendly staff combined with reliable service, is the solid foundation which ensures that our customers are more than satisfied. Whether you're looking for products for the home, studio or office, we believe you deserve the best quality and information. We strive to supply those products which through their high standard of health and wellbeing excellence contribute to a healthier, more comfortable and supportive user experience. St Kilda Iyengar Yoga School (SKYS) is conveniently situated in Acland Street, St Kilda, Melbourne. The school offers Iyengar Yoga classes,beginner courses and workshops for all skill levels, as well as yoga retreats and Iyengar Yoga teacher training in Melbourne.Simon aslo teaches/teacher trains around Australia, Byron Bay, Tweed Coast , Gold Coast and Brisbane. At SKYS, our teachers are fully trained, dedicated and supportive.They maintain a regular practice of asana and pranayama, study the theory and philosophy of yoga, and regularly visit the RIMYI Institute in Pune, India, where they study with the Iyengar family. "Gita is an age free, gender free zone with 50 years experience here in Melbourne"
Gita is more than a Yoga School. It is Australia's first full time Yoga Institute. Established in 1954, Gita has led the way with yoga training in Australia. With 50 years of experience in teaching modern minds and bodies, there is a Heritage from past Experience, and a Vision for 21st Century living and learning. The facilities are serene and beautiful, creating a perfect sense of retreat from the busy world outside. Fully air-conditioned, with Library, shop, massage room, quiet areas, along with change rooms, studios and class rooms. Gita has been training yoga teachers since the early 1960’s - first in an apprenticeship role, and later in a formalised Teacher Training Course - the GITA GOLD DIPLOMA TEACHER TRAINING COURSE. In the early years of Yoga in Australia almost all yoga teachers were Gita trained, unless they had come from overseas, hence Gita training is found in the history of many Australian yoga teachers. Clifton Hill Yoga Studio was established in 1995 and is one of the preeminent yoga schools in Melbourne. We teach our classes in the traditional Iyengar Yoga method, a style of yoga that is focused on correct alignment and postural awareness. We run a variety of yoga classes throughout the week in our three studios, from courses to casual classes, catering for all ability levels. Our 10-week courses start with Beginners and go to advanced levels, and mainly run in the weekday evenings. We also have a General casual class every day of the year at 10am - all welcome. Our Pre-natal class is on every Saturday at 2pm. Our courses are developed by our senior teacher Marina Jung, one of Melbourne's most senior Iyengar yoga teachers with 20 years teaching experience. All our teachers are dedicated practitioners of Iyengar Yoga and are fully certified by the Iyengar Yoga Association of Australia. We're committed to the future of Iyengar Yoga and run a teacher training course that passes on the tradition to new teachers, and in-turn to the wider community. how to teach a range of SomaChi classes, including class sequencing in-depth knowledge of asana, including correct alignment, adjustments and anatomical focus how to work with ‘chi’ and incorporate it into your yoga practice the history, teachings and philosophies of yoga and Tibetan Buddhism anatomy of the whole body – muscles, bones, joints, hormonal systems and more how to connect with your students on an inter-personal level. Prana House is a newly renovated and spacious oasis for the coming together of yoga and the healing arts. It was launched on May 27 2006 by founding director Julie Gargano,inspired by the vision to create a conducive environment to make this world a better place. From September 2010, Prana House has been under new directorship with a shared passion for its vision and philosphy. Ashtanga Yoga combines an ancient series of postures with a flowing breath and movement system. This combination increases strength, endurance and flexibility whileclearing the body of accumulated toxins and emotional blocks. Our classes and retreats are designed to cultivate a consistent and patient approach to support the complete unfolding of your being. At the Ashtanga Yoga Centre of Melbourne we provide a range of approaches to the classic practice as taught by Sri K Pattabhi Jois of Mysore, South India. These include the gradual introduction of the sequence to beginners, instructed (led) classes on the Vinyasa (breathing system) of the primary series, and self practice sessions with hands-on adjustment and refinement. The Kumara Centre’s workspace and therapy rooms are located in the beautiful ground of the North Shore Tennis & Country Club where a variety of meditation, pranic healing and self-development course are taught. Hom Yoga is a contemporary boutique hot yoga studio,in Australia & Singapore. Located in a charming and light-filled loft studio in Darlinghurst, Sydney, Hom Yoga is trendy and fun with a twist of bohemian-eclectic . Hom Yoga inspires a fresh and modern approach to practicing hot yoga, and offers a diverse range of hot yoga classes such as Hot Hatha, Hot Hom and Hot Flow. Each hot yoga style is unique and taught by Hom Yoga’s internationally trained and passionate yoga teachers. Hom Yoga Sydney strives to operate our yoga studio with a deep sense of responsibility in making the world a healthier, cleaner and a more sustainable place to live in. We would like to encourage a shift to a greener lifestyle and inspire a change of attitude toward the environment. 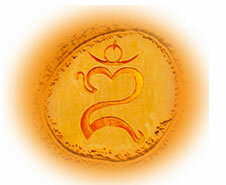 Byron Yoga Centre maintains a strong holistic philosophy to yoga that mirrors the essence of its birthplace. The Centre provides a wealth of experience for anyone considering yoga teacher training or simply wishing to advance their existing practice. Yoga is a lot about giving and receiving. It has been proposed that we only keep what we have by giving it away, which is one of the main motivations for teaching and training others to teach. The yoga taught at Byron Yoga Centre is called Purna, meaning integrated or complete. Purna Yoga represents a holistic approach to yoga integrating not just the physical postures but also philosophy, meditation, pranayama breath control and the yogic personal and social code of ethics. Byron Yoga Centre’s teacher training programs are designed to be affordable and flexible. We offer residential or non-residential, intensive or part-time courses, at the 200 and 500-hour levels, as well as the new Certificate IV in Yoga Teaching.